Last month my youngest child turned 18 and I suddenly found myself in the position of being a parent of two adults. While this has been a long-anticipated state, my focus has been on my daughter's multiple celebrations not what her new adult status meant for me. Now, as she prepares to follow her brother to university next year, I am finally contemplating my empty nest. In reality, I've been preparing myself for this stage since my children were born. 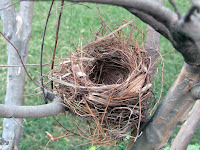 Indeed, it was the fear of facing the prospect of an empty nest which ultimately propelled me into action with returning to my career, along with my desire to make a difference to society in some tangible way. When I retrained as an executive coach eleven years ago, I didn't have a clear idea of where I would be going with my new qualification or how I would rebuild my career. But I was clear that I wanted to be engaged in work where I could lay foundations for a time when I would be freer to focus more on my own work than my family responsibilities. My return to work was small scale at first. I was content to work with just a few clients and to continue to put the majority of my energy and focus into my family. As I gained experience (and with it confidence in my abilities) and my children grew up, I actively sought more clients and even accepted the occasional overseas assignment. Self-employment allowed me to forge a new career while retaining the parental role I wished to have. At the same time, it hasn't always been easy and I had plenty of self-doubts along the way. The next major step I took in building up my work role was co-founding Women Returners, which has unintentionally provided another buffer to the empty nest effect. Our business and network are rapidly expanding, with the time and energy commitment that entails, as my involvement with my children's lives is decreasing. If you're also motivated to return to work by the looming prospect of the empty nest, the good news is that there are many more routes back to work than existed even 10 years ago, with the arrival of returnships and our innovative supported hiring approach. Companies and government are also acknowledging that returners are a neglected population who have skills, training and experience which are valuable. If you are seeking ideas and inspiration for how to return to work before your children fly the nest, take a look at the success stories on our website and the blog posts in our advice section.